Just like our popular Regal Elevated Raised Double Diner Dog Bowl this is a LOW raised double diner Dog Dish Bowl designed for bigger shorter dog. This LOW raised dog feeder will go with any decor. 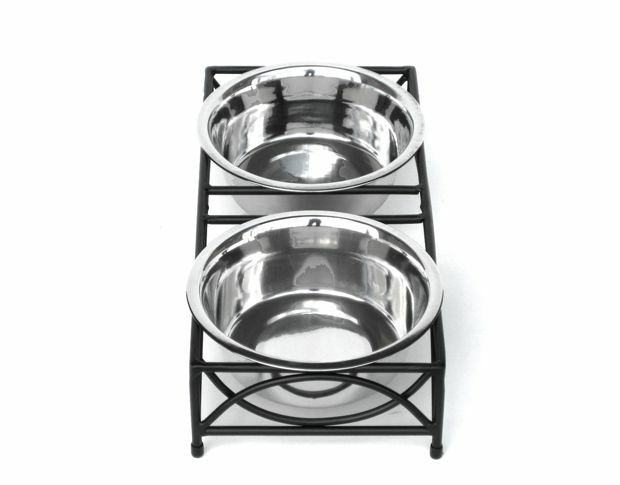 Regal Elevated Raised Double Diner Dog Bowl allows you to give your pet's food and water at the same time in this double bowl set. The LOWER raised double diner dog bowl feeder set comes with non-skid plastic tips on legs.